12OZ CLEANSE — REAL GOOD STUFF co.
We require 24 HOUR NOTICE to make sure your cleanse can be fulfilled. We also recommend that you pick up EACH DAY of your cleanse separately — This way your smoothie is made fresh for you each morning and we can guarantee to have product that won't expire. If you need to pick up all days at once, please make a note of it on your order and know that substitutions may need to be made. THANKS FRIEND AND HAPPY CLEANSING. 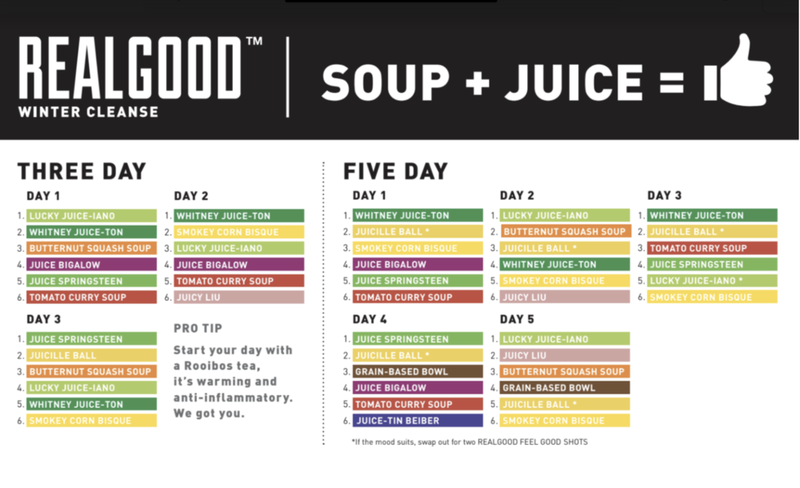 aLL RIVER NORTH CLEANSES AVAILABLE for pick-up at realgood river north and Whole Foods WHEATON exclusively.